An overnight comeback isn't on the menu for Chipotle, but by aggressively communicating its food-safety changes, it could get back on the right track. Chipotle made a splash this week when it brought on Burson-Marsteller as its new US agency, months after splitting with Edelman after a client conflict with another fast-food chain. The new relationship makes sense on a number of levels, considering Burson’s blue-chip pedigree handling major corporate crises going back decades as well as its international reach. Surely, the burrito chain checked under the rug for any potential client conflicts at the WPP agency, as well. So far, both the embattled fast-food joint and Burson representatives have been quiet about what’s to come. Chipotle communications director Chris Arnold told PRWeek that he was looking forward to sitting down with agency representatives on Friday and mapping out a game plan for a brand comeback. Burson US chief Michael Law commented simply that his firm was happy to be chosen and ready to hit the ground running. What neither are in a position to say — Chipotle is a public company, after all — is that a resurgence isn’t going to happen overnight. It may take even a few years for the brand to regain the luster of early last year, when it was widely thought of as a healthy, yet still convenient, alternative to the fast-food world. One reason why last year’s E. coli outbreak was so damaging to Chipotle is that it cut right to the very heart of the brand’s image: "food with integrity." Integrity is something all brands should strive for, but it doesn’t mean much to customers when they’re afraid of getting sick. A great irony of Chipotle’s crisis response is that to make its food safer for customers, it actually has to cut back on one of its most attractive brand attributes: local sourcing of vegetables. That may be a drawback for some health-conscious aficionados, but my bet is most customers will be relieved to see the company taking steps to cut back on risks. That’s where Burson comes in. Where the agency could truly help the fast-food chain is communicating what the brand is doing to make its food safe for customers. No more blaming sick employees for contaminated food, or saying media coverage is to blame for a huge fourth-quarter sales drop. The brand should focus on talking about why Chipotle is a fresh — and entirely safe — alternative to the "old" fast-food joints of the world. Chipotle doesn’t need a Cannes Lions Grand Prix right now; it needs to emphasize food safety (and months of news cycles without stories about customers getting sick). This may take some time. While many investors have been clamoring to get their hands on Chipotle stock — in early December, it was at its lowest point in 18 months before a recent comeback — other analysts are more bearish. 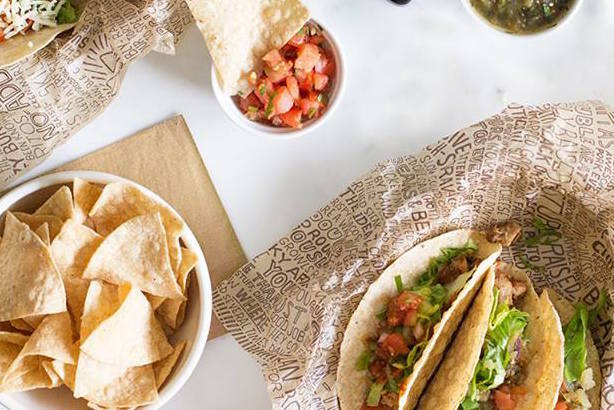 There’s stark disagreement in the business media about the potential of Chipotle’s stock, with some analysts saying its price could drop by another quarter, and others noting that coupon giveaways are working and customer sentiment is on the rise. An overnight comeback story probably isn’t on the menu for Chipotle, but by enacting serious food-safety changes and communicating them aggressively to the public, it could get back on solid footing for the long haul.